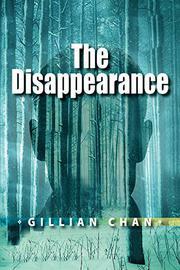 A mystery about a bullied boy who goes missing from a group home. As the book opens, white narrator Mike is being interrogated by the police about a missing boy who ran away from their group home with him. Following this prologue, the story jumps back to Mike’s arrival at the group home. Foulmouthed, violent Mike tells readers he looks like a “thug,” large and carrying horrific facial scars from a cleaver attack at the hands of his mother’s boyfriend. He’s demonstratively tough in order to prevent others from messing with him. At the group home, he rooms with Jacob, a mysterious, nearly mute white boy found beaten into unconsciousness months prior, who becomes catatonic when overwhelmed. Jacob is subjected to cruel bullying, especially at school and by fellow group-home resident Paddy, whom Mike butts heads with for the top dog spot. After Mike has a bad visit with his mother, Jacob speaks up with a message for Mike—from his dead younger brother, murdered in the attack that scarred Mike. Soon, the bullying escalates dangerously, and Mike both confirms Jacob’s strange ability and is thrust into the role of protector—and not just of Jacob. The mystery behind Jacob’s supernatural power is straightforward to the point of predictability, but the rich emotional lives of the characters—especially the ways they relate to one another in grief—anchor the magical elements.